As a stylist, I’m constantly using my hands, so I rarely can keep a manicure longer than a day. I tend to opt for a boring clear coat of polish—or if I get crazy, something like ballet slippers—so the chips and scratches are undetectable. I’ve done the gel manicure thing—which is great for that special occasion or trip, but can ruin your nails if you do it often. OR if you’re like me and shamefully peel your chipped nail polish off. 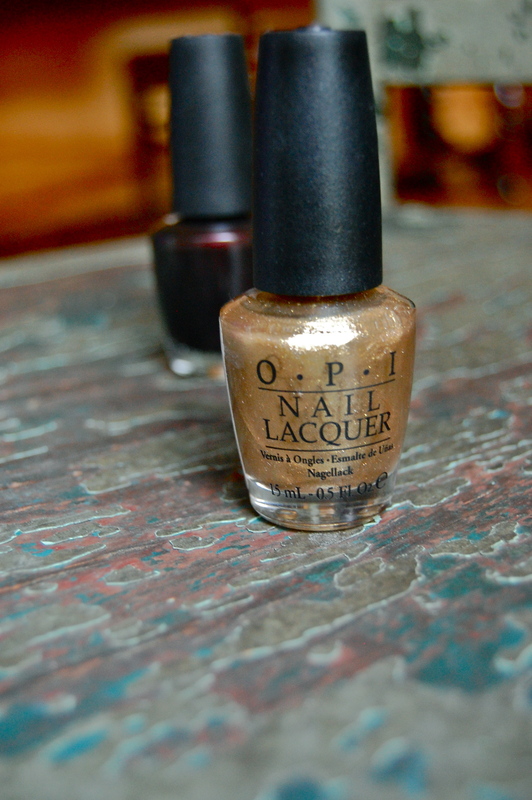 While prepping for a photo shoot the other day, I came across this gold nail polish by OPI on the check out line (yes, I’m the sucker who gets drawn in by those last minute purchases while waiting). To my surprise, it happened to be part of their shatter line, which is brilliant because it’s practically fool-proof! 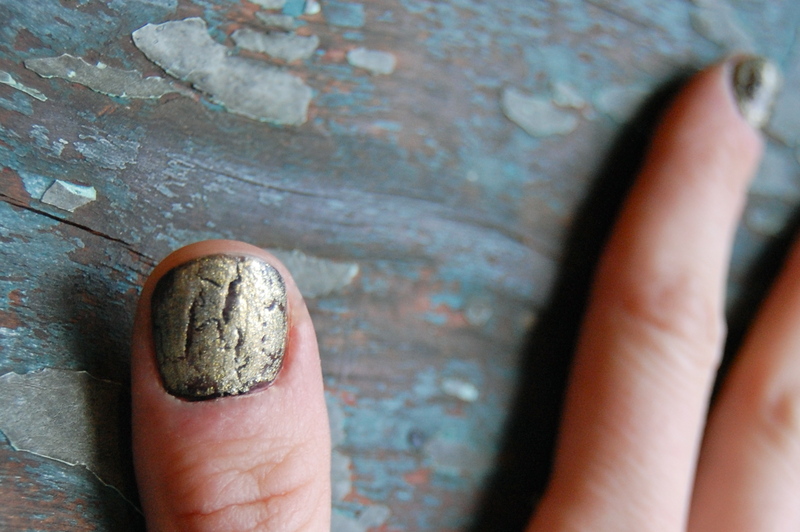 I even smudged one nail while impatiently waiting for it to dry, and it looked like it was part of the crackle! I can finally wear my beloved dark nail polish without fear, while having a pop of the metallic trend for this season…and I don’t care if I chip it. Oh snap.